Yes I was that car. You saw me trying to inch my way across three lanes of traffic. I was the silly grandma from the Shenandoah Valley heading to metropolitan Washington D.C. in Friday morning rush hour, on the Dulles Greenway and Dulles Toll Road. It is used by thousands of commuters every day. I was headed there to help my daughter get ready to go back to work (sorting baby clothes, etc.) after her last maternity leave. Wow this toll road is really great! No semi’s. Ahhhh. What a way to drive. Not like Interstate 81 down our Valley where you either have to stay in the passing lane and go around all the trucks, or get wedged between two semis and stay there fearing for your life but at least avoiding darting in and out. This is sweet. I wonder what it costs. Oh well, whatever. I’ll just pay it. 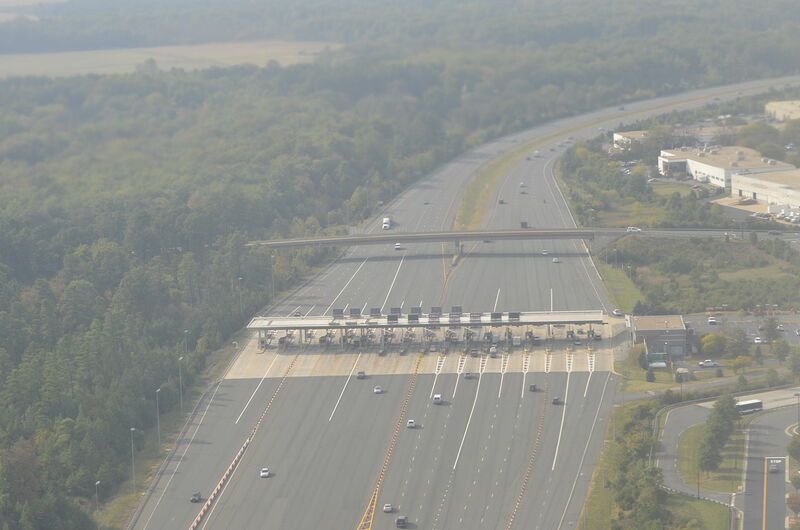 Maybe I should invest in an EZ pass thingy someday, so I can just whiz through those toll plazas. I wonder what lane I need to be in anyway. There will surely be signs telling me. At least I avoided the major back up that was inches long on my Google maps screen over on I-66. No siree bob, didn’t want to get in that mess and maybe miss seeing the older grandsons off to preschool and daycare. Ah there’s the toll plaza. Panic! Which lane should I be in? Rats! Way over there? In the lane farthest to the right, and here I am three to the left? This is when I have no choice because I can’t get stuck in the EZ pay lane without a pass. There is no human handling poor novice commuters like me. I flick my right blinker on. Other drivers are still whizzing up their lanes, way too fast for me to scoot in front of them, suicide-like. Ah, I manage to inch over one lane. Two more to go, slowly rolling ever closer to the point of no return. People behind me will be getting mad. Cussing. Honking. Another opening, I dart over. There goes the first horn. I finally wiggle my minivan into the credit card line where there is a glorious grandmotherly human, a woman wearing a hijab. I say “credit card ok?”. Duh. She nods, eyes creasing into a smile. I slide my card in. The screen says $7.15. Huh? But it’s worth it to be here, paying my way out of that heart-racing horror. But now I can’t get my credit card out! Where did it go? It is too dark for me to see the place where my card should be spit out. My helper reaches out of her window, grabs the credit card from the place where I put it in. I collect the receipt, gush “thank you!”, and get out of there as fast as I can. Breathing a prayer for safekeeping, for a human helper, for the man in the pickup truck. And then I laugh. Did I really just cross three lanes of traffic with mere feet to go before the last metal-looking (but probably bendable) traffic separators blocked my escape? Somehow, yes. Somehow, good Lord, thank you. What is your hair-raising traffic/travel story? I think I’d love to hear! Perhaps I’ll use your story here. Send to anotherwaymedia@yahoo.com or Another Way Media, P.O. Box 363, Singers Glen, VA 22834. Another Way is a column by Melodie Davis, in syndication since 1987. She is the author of nine books. Another Way columns are posted at FindingHarmonyBlog.com a week after newspaper publication. Believe it or not, I did think of you and your escapade in my moments of panic. 🙂 And I checked a traffic lane post near our office to learn it was indeed bendable at the bottom. Oh yikes! That’s why I don’t drive into Dallas. I’ve gotten too used to our almost rural traffic out here midway between Dallas and Fort Worth. I’ve turned into a big chicken. Glad you made it safely – and with an amazing lack of irate horn honking! You are sweet to applaud my safety in those moments. I’ve learned a thing or two: now if I don’t forget! Thanks for checking in here! I don’t like I-81 and almost never use it and I sure would’nt try to use the interstates to DC. I used to drive from Hburg to Syracuse in one day on the interstates – but some how I think the traffic was not as heavy then! Good for you to keep on doing it! Beverly, I certainly don’t blame you for staying off 1-81–and yes the traffic has gotten so much heavier in the last 10-15 years. Glad you could read this: talking to my mother last night, she reads this in her paper, and she said she laughed and laughed and laughed some more–not at my predicament I don’t think, but the writing/way I told the story. As a writer, you can take almost any unwanted experience and turn it into a piece of writing–or a sermon if I was a pastor!